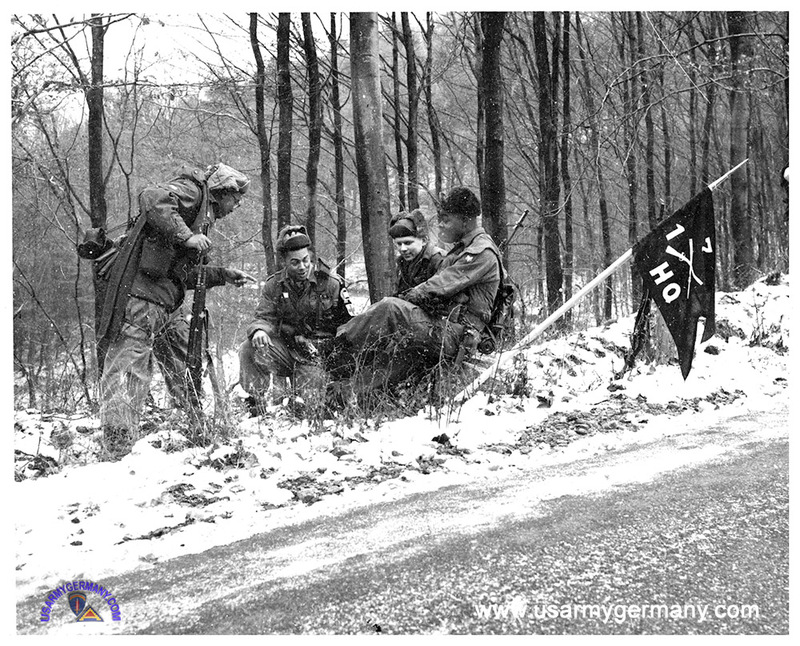 (Top) This photo was taken 1965-66 in Aschaffenburg, Germany, during a winter march by 1st Bn, 7th Infantry. Note the M14 rifles! I think the M14 was the best rifle the Army ever issued. Sorry I don't have any names, but this probably happened during one of our alerts that went real. (Bottom) Here's another photo of two squads from the 7th Infantry. 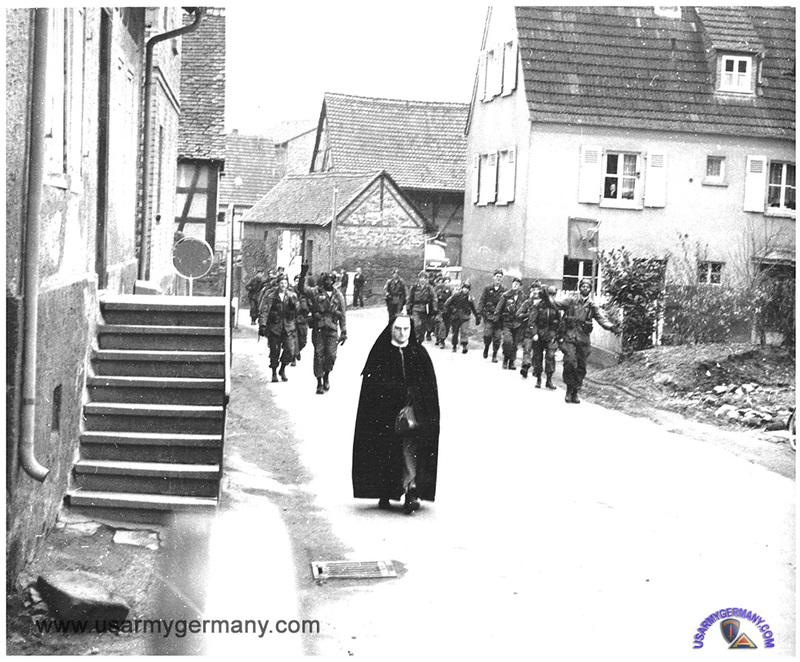 The nun doesn't look too happy, does she?